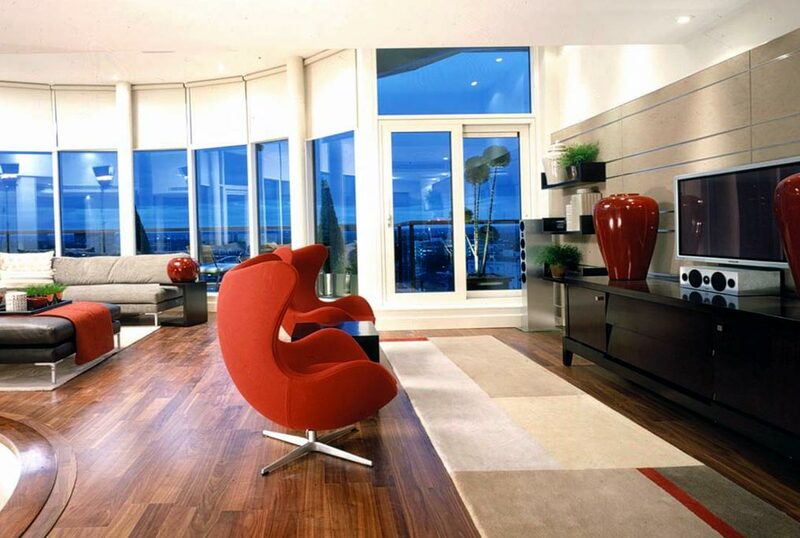 To interior design and provide a full furniture fit out of a show apartment in West End Quay, a joint venture with Rialto plc, ING Real Estate and Wates. Quay West comprises 468 apartments and retail units with a gross development value of £212 million in London’s centrally located Paddington Basin. We planned, designed and detailed all internal joinery, finishes and fixtures for this palatial apartment, which was the winner of the London Evening Standard’s Best New Luxury Apartment Award in 2004. Featuring elements such as an Arne Jacobsen ‘Egg Chair’, this apartment represents the Head Interiors approach to design: sophisticated while comfortable, livable yet undeniably elegant and modern. We furnished the entire apartment from South Africa, employing local assemblers to assist with the joinery, assembly and installation.